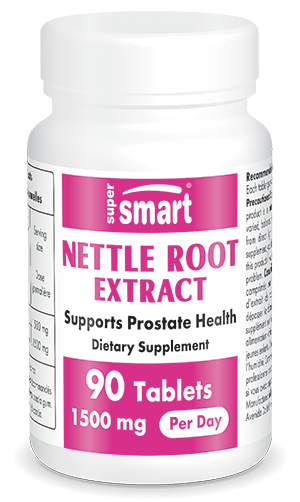 Nettle root extract is often used in combination with saw palmetto with which it has a synergistic effect. One observational study involving 419 urologists monitoring 2030 patients over 12 weeks showed beneficial effects, with 85% of patients reporting improvements. Other ingredients: calcium carbonate, stearic acid, maltodextrin, croscarmellose sodium, shellac.